Whether you are faced with a task beyond your scope of expertise, or simply need to free up more time to focus on business growth, as a solo entrepreneur, outsourcing is a necessity in business. What is the single most important thing you decided to outsource in your business, and how has it transformed your productivity and profitability? Our panel of entrepreneurs openly shared their personal experiences with outsourcing, and some great links for you to investigate if you have similar needs in your business. You will find information about graphics, writing, manufacturing and more. And if you have a great resource, we hope you will share it in the comments below. Enjoy! In my case, outsourcing comes down to strengths and weaknesses. In my business, I can handle the areas where I excel but when I have a business weakness, I am forced to admit it and fill the gap by outsourcing! I outsource accounting and bookkeeping. This leads to increased productivity because it frees me up to do what I am good at and leaves the numbers to the experts! 2. Outsource This To An Intern! The most important thing I have outsourced is social media management. I hired an intern from the University of North Carolina at Chapel Hills (go Heels!) who is in charge of this. We devised a strategy and schedule, and she is responsible for using the free service of http://www.ping.fm to send out updates, article links, business highlights, announcements, motivational quotes, events, etc. She sends these to me for approval, I make a few minor changes, and then she uses http://www.hootsuite.com to schedule the posts according to when most of my followers are online. She uses a systems manual I created with an earlier intern to do all this, and we add to it constantly. A systems manual is key in outsourcing effectively and will help you train the next person easier and faster! We developed our entire web site with outsourced help found on Elance.com and oDesk.com. We hired graphic designers, programmers, and QA testing folks from 12 different countries. It’s amazing how quickly things get done when you act as a project manager instead of an individual contributor. If you can juggle many tasks simultaneously then you will be a good outsourcing project manager. Took us 18 months from start to finish… About 6 months longer than if we had used full-time local employees. But we saved at least $500,000 by outsourcing to lower cost regions of the world. For a professional blogger, building my blogging business is a lot of work. Two things that make a blogger’s work experience better and more efficient is joining a tribe and hosting guest articles. I belong to Triberr, which expands the reach of each of my blog posts from 3,000+ Tweeters to over 165,000 Tweeters. My tribe mates allow me more time to promote and build my blog by re-tweeting each of my posts during the week. Triberr isn’t an excuse to stop promoting; it’s a tool that allows you to promote more, because you’re now a member of a team. I also call for guest post submissions for both of my blogs, which is a win-win-win situation. I get a day off, my readers get a fresh perspective, and guest bloggers are exposed to a new audience. Nothing will kill a business quicker than overhead. The two biggest costs are salaries and manufacturing overhead including real estate. Thus if you have to outsource something, outsource many of your personnel functions that don’t have to be under one roof and also your manufacturing or extended office space. Especially in times like this, responsibly outsourcing will enable you to grow like a weed. Here for instance, we’re bringing the whole rubber duck industry back to America where it was invented. Yes, this can actually all be done from home by responsibly outsourcing! Outsourcing makes the impossible possible! The number one role we have outsourced is the Managing Editor role. In addition to my many other hats as co-owner, I also previously held the day-to-day role of generating topic ideas for the site, collaborating with writers, and editing the pieces prior to publication. While this was an enriching experience and I could ensure the quality of the content, it was also extremely time consuming. We made the decision to bring on a full-time Managing Editor to complement me in taking on these responsibilities. With the extra time that I had each day, this decision has enabled us to explore new ideas, implement new forms of media, and spend more time growing our social media channels, all of which have been great for the long-term success of the site. I’ve outsourced all my writing that’s like bragging about myself and my business – my bio writing, social media and newsletter blurbs about new offering… that sort of thing is really hard for me to write. I used to spend tons of time agonizing over what to say, and now it’s just a quick email dashed off to her and an approval at the end. The copy always turns out better when I have my assistant create them. And I also feel less awkward when I promote with them. She’s not currently taking on new clients, or I’d be sure to share the link! We needed our website designed to our specific characteristics. We knew that we didn’t have the personnel to complete this task, so we had to outsource the designing job to a freelancer from http://www.Imagestream.ro. This designer was from Romania and he did a fantastic job for us. Everything came out exactly as we blueprinted it, and we are still in contact with him for other designs or redesigns. 10. Written Content Is A Must! Our website focuses on connecting the public with great bargains on seized and surplus government auction items. If there was one thing we needed help with, it was definitely written content. After our site became popular in search engines, we decided to outsource some of our article writing and blogging tasks to a freelancer, who came from the website http://www.thecontentauthority.com. This person really helped us compensate without actually having to hire someone on staff to just sit here and write articles all day. When we first launched our website, we knew that one of the most difficult parts would be designing. We had someone who knew how to code and create the initial blog, but we needed to hire someone to create a multitude of graphics for us. After searching for a few weeks, we ended up finding a great freelancer who worked for http://www.rsphotolab.com. To this day, we continue to use him when we need any new creatives (pictures, banners, buttons, etc.). He listens to our ideas and implements them to the best of his ability—which was pretty damn good. When I hired a virtual assistant to manage my websites, around 1999, I had two sites and a third one under construction, probably a total of 300 articles all together. By having someone else post new content, research and implement usability tools, manage my e-mail newsletter distribution, and maintain/improve/occasionally redesign the sites, I was able to drastically expand. Now I have more than a dozen websites, several thousand articles, and a significant presence on social media–and I have my time freed up to do consulting and copywriting for clients, and to pursue my own writing and speaking. When faced with the choice of continuing to deliver a time management training course myself or turning it into a product that delivers the same info without requiring 8 weeks of my time per course, I screwed up my courage and had someone transcribe my lessons so that I could create a home study course. I went to Fiverr.com and selected a transcriber – Tanmay Chauhan of http://www.transcriptionhelp.com. Tanmay turned 8 hours of audio into transcripts much more quickly than I could have done it myself. I can’t count the number of hours I’ve saved versus the few hours I spent reviewing his work. I’m now free of scheduling hassles and can serve many more clients with the new version of the course. Outsourcing transcription is one of the best business decisions I have ever made! 14. 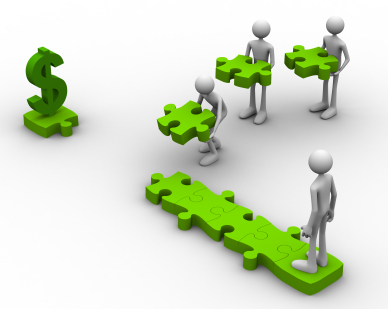 Don’t Overlook Economic Development Programs To Assist With Costs Related To Outsourcing! As an entrepreneur and founder of an online publication I’ve had to be creative in finding resources to help me build my business. Outsourcing is one of the ways to free up my time so I can focus on developing my business. I’ve done this a number of ways; by offering small equity position for higher level work, namely managing our finances, to reaching out to hundreds of women I’ve met on Twitter to invite them to submit content for our site. But one of the smartest things I’ve done is to check into a program offered by the state of Louisiana that assists small emerging businesses. To learn more about the program go to: http://www.ledlouisiana.com. I encourage other start-ups to take time to explore programs & services offered in their own state that could help with outsourcing costs. Thanks so much again to all our wonderful contributors for sharing your outsourcing experiences! We hope to hear from you again. And to all our readers, if you have an innovative idea to share, we hope you will leave it in the comments below. This entry was written by Dr. Shannon Reece, posted on January 9, 2012 at 6:00 am, filed under Question of the Week and tagged growing your business, outsourcing, question of the week, small business tips. Bookmark the permalink. Follow any comments here with the RSS feed for this post. Post a comment or leave a trackback: Trackback URL.